Books Yellow, Red, and Green and Blue, All true, or just as good as true, And here's the Blue Book just for YOU! 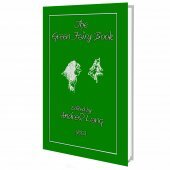 Herein you will find another set of 37 Fairy Tales collected by Andrew Lang - Britains answer to the Grimm brothers. Within you will find perennial favourites like HANSEL AND GRETTEL, LITTLE RED RIDING HOOD, THE SLEEPING BEAUTY IN THE WOOD, CINDERELLA OR THE LITTLE GLASS SLIPPER, ALADDIN AND THE WONDERFUL LAMP and many more - some less well-known but equally enchanting all the same. 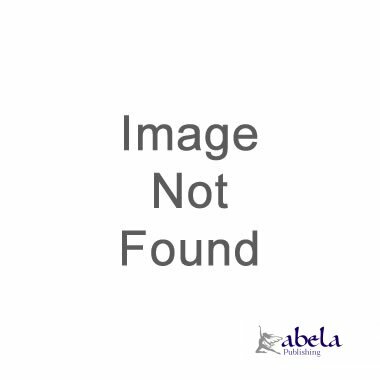 And here's the Blue Book just for YOU! Yet leads to BooksGreen, Yellow and Red. To guide us into Fairy Land. In buying this book you will be donating to this great charity that does so much good for ill children and which also enables families to stay together in times of crisis. 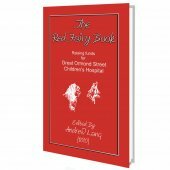 And what better way to help children than to buy a book of fairy tales. Some have not been seen in print or heard for over a century. 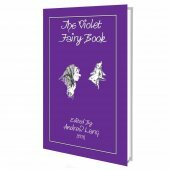 33% of the Publishers profit from the sale of this book will be donated to the GOSH Childrens Charity. So the poor miller's daughter sat down, and didn't know what in the world she was to do. She hadn't the least idea of how to spin straw into gold, and became at last so miserable that she began to cry. Suddenly the door opened, and in stepped a tiny little man and said: "Good-evening, Miss Miller-maid; why are you crying so bitterly?" "Oh!" answered the girl, "I have to spin straw into gold, and haven't a notion how it's done." "What will you give me if I spin it for you?" asked the manikin. "My necklace," replied the girl. The little man took the necklace, sat himself down at the wheel, and whir, whir, whir, the wheel went round three times, and the bobbin was full. Then he put on another, and whir, whir, whir, the wheel went round three times, and the second too was full; and so it went on till the morning, when all the straw was spun away, and all the bobbins were full of gold. As soon as the sun rose the King came, and when he perceived the gold he was astonished and delighted, but his heart only lusted more than ever after the precious metal. He had the miller's daughter put into another room full of straw, much bigger than the first, and bade her, if she valued her life, spin it all into gold before the following morning. The girl didn't know what to do, and began to cry; then the door opened as before, and the tiny little man appeared and said: "What'll you give me if I spin the straw into gold for you?" "The ring from my finger," answered the girl. The manikin took the ring, and whir! round went the spinning-wheel again, and when morning broke he had spun all the straw into glittering gold. The King was pleased beyond measure at the sights but his greed for gold was still not satisfied, and he had the miller's daughter brought into a yet bigger room full of straw, and said: "You must spin all this away in the night; but if you succeed this time you shall become my wife." "She's only a miller's daughter, it's true," he thought; "but I couldn't find a richer wife if I were to search the whole world over." When the girl was alone the little man appeared for the third time, and said: "What'll you give me if I spin the straw for you once again?" "I've nothing more to give," answered the girl. "Then promise me when you are Queen to give me your first child." "Who knows what may not happen before that?" thought the miller's daughter; and besides, she saw no other way out of it, so she promised the manikin what he demanded, and he set to work once more and spun the straw into gold. When the King came in the morning, and found everything as he had desired, he straightway made her his wife, and the miller's daughter became a queen. Then the Queen pondered the whole night over all the names she had ever heard, and sent a messenger to scour the land, and to pick up far and near any names he could come across. When the little man arrived on the following day she began with Kasper, Melchior, Belshazzar, and all the other names she knew, in a string, but at each one the manikin called out: "That's not my name." The next day she sent to inquire the names of all the people in the neighbourhood, and had a long list of the most uncommon and extraordinary for the little man when he made his appearance. "Is your name, perhaps, Sheepshanks Cruickshanks, Spindleshanks?" but he always replied: "That's not my name."